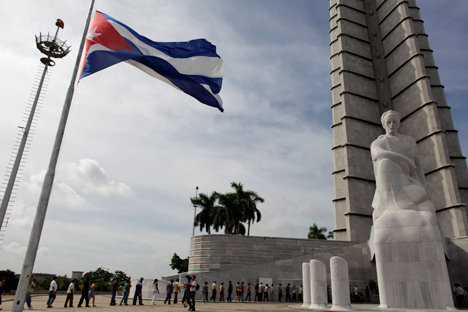 Russia and Cuba signed an agreement on cooperation in the field of atomic energy for peaceful purposes. Russia and Cuba have signed an intergovernmental agreement on cooperation in the field of atomic energy for peaceful purposes on the sidelines of the 60th session of the General Conference of the International Atomic Energy Agency (IAEA) in Vienna on Sept. 27, TASS correspondent reported from the signing ceremony. The document signed by the deputy head of Russia’s Rosatom State Corporation for Atomic Energy Nikolai Spassky and Cuba’s Deputy Science Minister Jose Fidel Santana lays a legal foundation for bilateral cooperation between the two countries in the field of atomic energy for peaceful purposes, including such areas as radioisotope production and their use in industry, medicine, agriculture, security and environmental research.